Early morning on the beach in Ocean City, NJ. A fellow photography instructor friend of mine always says there are way more sunset photos than sunrise photos because nobody wants to get up early enough to capture the sunrise. This isn’t exactly a sunrise photo, but I did have to get up and out early enough to capture this beach scene in Ocean City, NJ before the crowds and the lifeguards took to the beach. I spent 4 years of my youth growing up in Ocean City and it has special meaning to me. I’ve been to many seaside towns on both coasts and love many of them, but Ocean City still serves as the town that re-invigorates me. It’s known as America’s favorite family resort and for good reason! 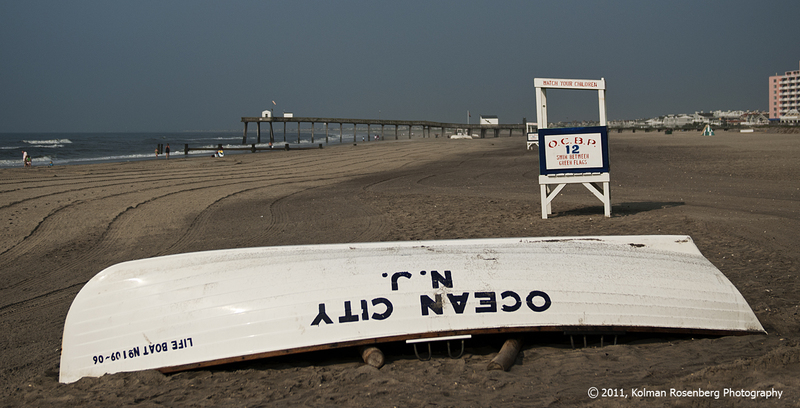 This entry was posted in Uncategorized and tagged beach, life boat, lifeguard, new jersey, ocean city, sand. Bookmark the permalink.